After a successful go-karting career to date, Tyler Di Venanzo is set to take the next step of his racing career. “It is going to be a big jump from karts to OSCAAR Mods, but I just want to learn and gain the respect of other drivers,” he said. The decision to go modifieds next was relatively easy for the teenager after watching his dad race them and have a great time doing so. “We want to be a part of the fastest growing series in Ontario,” he added. Knowing the caliber of competition he will be up against, he is keeping his goals in check, firstly focused on finishing races. Then as the year carries forward, he hopes to work towards being a consistent top-15 competitor. For Di Venanzo, racing has always been a part of his life, beginning with going to watch his dad race Can-Am TQ Midgets. 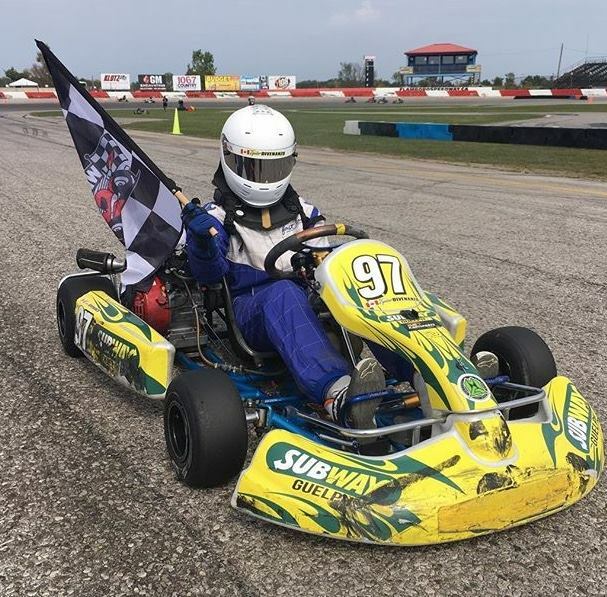 He then got behind the wheel of a kart for the first time in 2013 as part of the Waterloo Regional Kart Club, where he has been involved since. “My most memorable moment in karting would be in 2017 when we picked up three feature wins, a number of heat wins and a third place finish in the points even after struggling mid season with a number of DNFs,” he said.